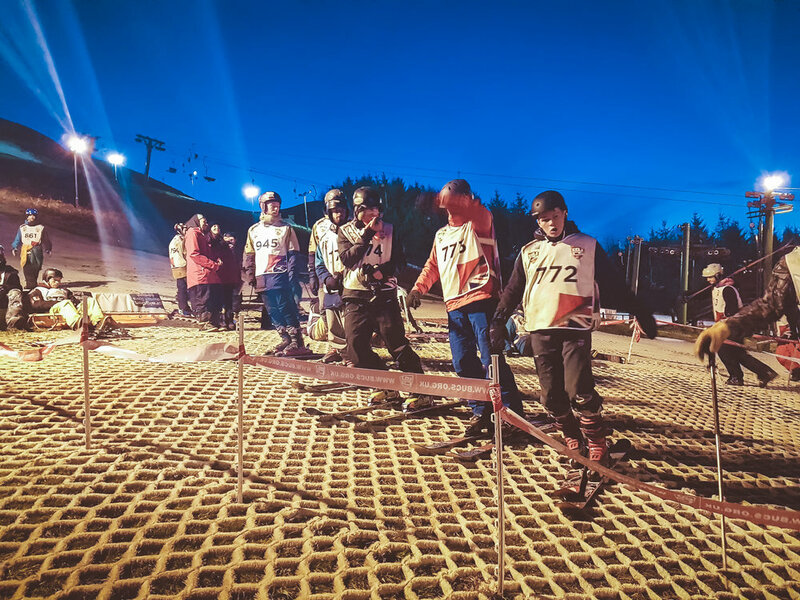 With no snowy mountains to practice on year-round, learners and competitors will be faced with dry slopes and indoor slopes in the UK. So what should you expect on these artificial surfaces? There are a handful of artificial snow slopes in the UK, but most snowsports clubs regularly visit dry slopes to work on their technique. Did you know that there are two types of artificial material that you will come across? 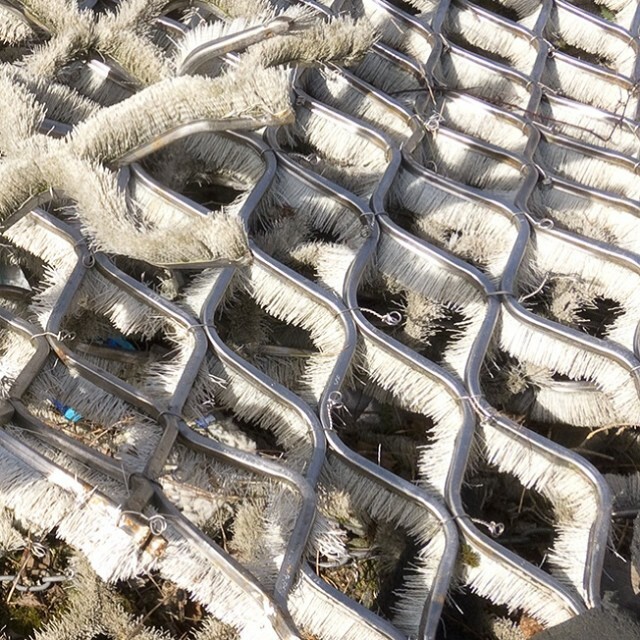 Snowflex is mat covered short plastic bristles, similar in appearance to artificial grass but usually white in colour. Dendix, on the other hand, has a diamond shaped metal structure with holes in the middle.. and herein lies the challenge. To help you prepare for the experience of skiing of dry slope, we have put together some words of advice. The first word of warning is to be aware that even if you are completely competent on snow, you’ll find navigating a dry slope challenging. Practising is brilliant for your technique, but it can easily feel like you are back to square one at first. Don’t let this knock your confidence, just see it as a challenge that you will overcome. The reason that skiing on dry slope is good for your technique is that it is much less forgiving than snow, so you have to be more careful and deliberate with your movements. Whereas snow will absorb sudden movements and fast edge turns, dendix won’t let you get away with errors. Balance and body positioning are key factors when skiing on dry slope. For example, it helps to keep your feet underneath your body and not dig your edges in too much. You should also concentrate on keeping your weight in the centre of your skis. Luckily, dry slopes provide a consistent surface to train on, so you don’t need to worry about ice, rocks or bumps – only falling on a hard surface which is nothing like snow. Oh and getting things stuck in the holes if it’s dendix! Another thing to think about is what you are wearing on the slope. Dry slopes are not soft and they are generally not clean. As you head down the slope, you can get covered muddy spray so any light coloured jackets or salopettes will be doomed. And even though you’re not in the sub-zero temperatures of the alps, do not neglect to wear gloves! Your hands can get absolutely torn to shreds if you fall over so AT LEAST wear pipe gloves. It goes without saying that wearing a helmet is a good idea, because a bad fall on a dry slope can leave your face in an awful mess. Whether you’re taking racing lessons or getting into freestyle competitions, your piste of choice will sometimes be plastic. Dendix and snowflex are tough surfaces to conquer, but in the absence of real snow here in the UK, they are something you will need to get used to if you want to improve your skiing or snowboarding technique. And once you’ve mastered dry slope, real snow is a breeze! Thinking about trying freestyle? Find out more about it here.